Biodynamic, Demeter, Certified, Natural or just plain Organic Wine? Difference? The certifications vary slightly from country to country however, they have the same key objectives. Wineries must refrain from using artificial inputs, including synthetic fertilizers, herbicides, fungicides and pesticides. Another distinct regulation is to avoid the use of added sulfites during the fermenting and bottling phase. It is important to remember that Sulfites — also known as sulfur dioxide- is a naturally occurring preservative in most wines and an inherent by-product of alcoholic fermentation. However, most wineries will manually add sulfites in order to increase the shelf life. This is where it can get tricky. Take note; if a winery adds extra sulfites and follows organic farming principles, they can not be labeled organic, but they can be classified as wine“made from organic grapes”. As with all our products on Straits Market, we believe in transparency and provenance. However, the fact that wines are not required to have labels or an ingredient list makes it harder for us to discern one wine from another. Haven’t you wondered why there are no nutritional or ingredient labels on wines? Governments require labeling on food but not on wines. I’m sure you are less worried about the obvious sugar content and nutrition associated to wine, and more in the chemical content. 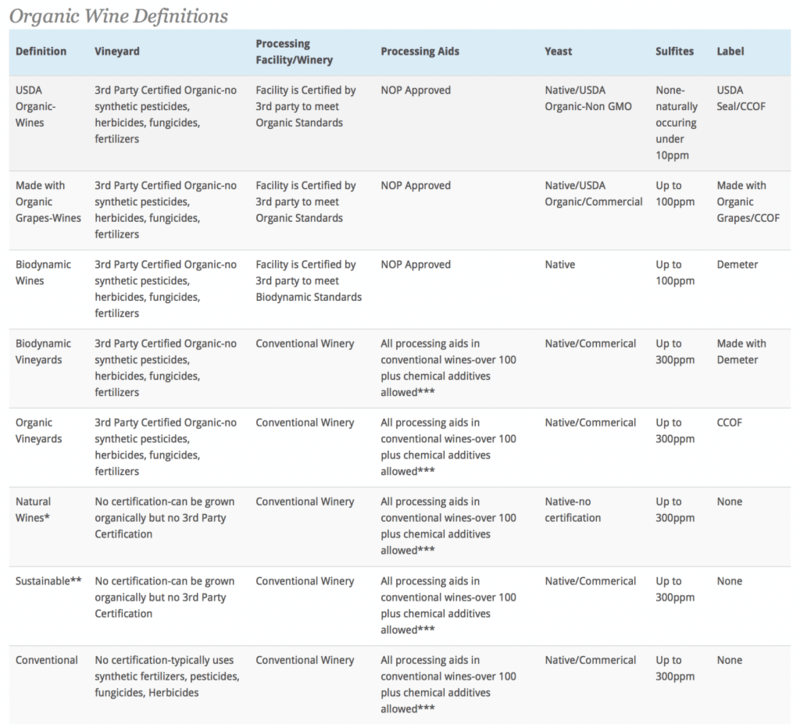 The list of allowed substances in U.S. winemaking is about two pages long. These additives and treating materials, marked by the FDA shorthand “GRAS” for “Generally Recognized As Safe,” do not need to be listed on the back of the wine bottle. They might include added preservatives; engineered yeast strains; or super-concentrates, like Mega Purple, used to correct a wine’s color, mouthfeel, and flavor. 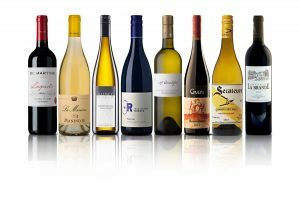 Wines made in the U.S. and other countries may also include foaming agents, coloring agents, acidifiers, deacidifiers, casein, pepsin, trypsin, dimethyl dicarbonate, ammonium phosphate, sodium carboxymethyl cellulose, potato protein isolate, acetaldehyde and isinglass (the dried swim bladders of fish, used for wine clarification). We don’t want to scare you from drinking wine, which might be a futile task. However, we feel that being health-conscious and discerning about food also applies in choosing the right wines and alcoholic beverages. Without mandatory and regulated labeling, we are at the mercy of the integrity of the wineries and distributors. Now, knowing that wines may be laced with all sorts of additives as mentioned, it would be safer to reach for the certified bottle. We hope that our selection will give you that assurance and the taste that will win your trust.